Ductile materials like steel or plastic can replaced by splitting (pipe splitting) the old pipe while inserting the new one. This replacement technology is called pipe splitting. The new pipe can be made of HDPE, PVC, cast iron, PP or steel, having the outside diameter 30% or 50% larger than the diameter of the replaced old pipe. 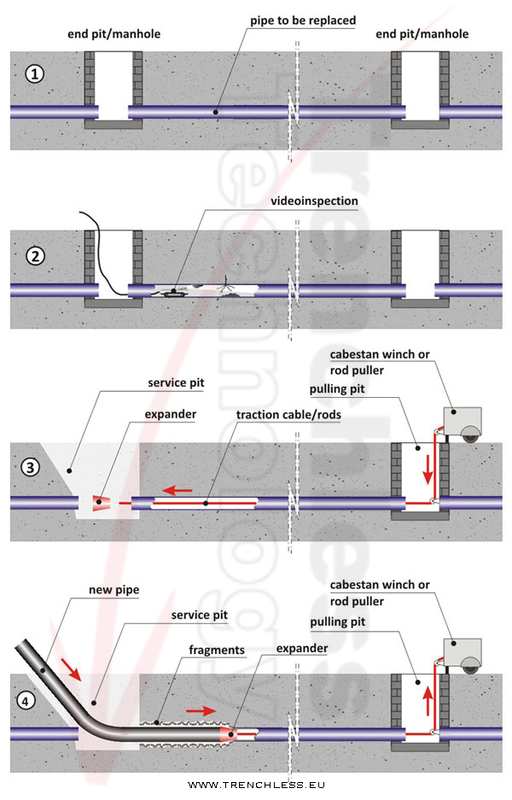 Pipe splitting is normally performed by pulling back a splitter equipped with one or more blades, followed by an expander that diverts the host pipe once split.